The Grantham Research Institute on Climate Change and the Environment has been invited to join the Zurich Flood Resilience Alliance (ZFRA) as a research partner. Under the ZFRA grant Dr Surminski is establishing a new risk governance research group which aims to explore new approaches to convert post-event focused risk governance into more effective pre-event resilience through research-based evidence gathering on incentives, investments, and risk governance, with a particular focus on the urban OECD context. Dr Surminski will closely collaborate with research partners International Institute for Applied Systems and Analysis (IIASA), and the Institute for Social and Environmental Transition-International (ISET), as well as engage with the NGO partners in the ZFRA Concern Worldwide, the International Federation of the Red Cross and Red Crescent Societies(IFRC), Mercy Corps, Plan International and Practical Action. ZFRA is an ambitious project that strives to contribute to the overall vision of de-risking communities from flood risk by providing evidence-based insight into understanding resilience and resilience decision-making. 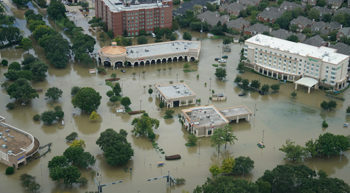 This multi-sectoral Alliance is now working in its second phase (2018-2023) and was created by Zurich Insurance (add hyperlink: https://www.zurich.com/en/sustainability/flood-resilience), who is a full partner in the Alliance, with funding from the Zurich Z Foundation. This new project builds on GRI’s earlier work on flood risk management and resilience under the ENHANCE project and Ireland’s EPA.